Give children a spray bottle with water or a small container of water with a brush so they can wet a window. 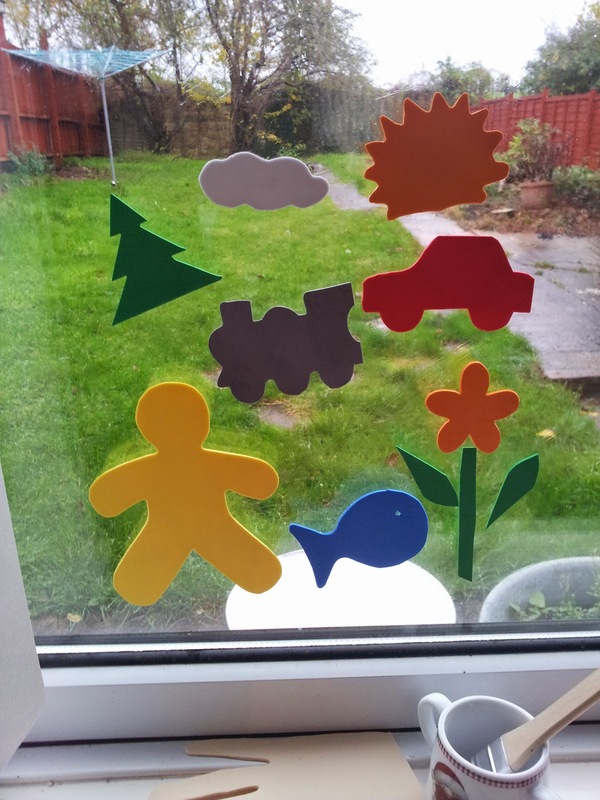 Have a variety of foam shapes that children can stick to the window to create scenes or patterns. You can buy pre-cut shapes or you can cut out your own shapes from fun foam sheets, both of which are relatively inexpensive at the craft store. Goal: Children will enjoy sensory play with water while creating patterns or scenes with shapes. To search for activities in a specific age range or domain use the following age categories or domain name in the Find Out box or search box.